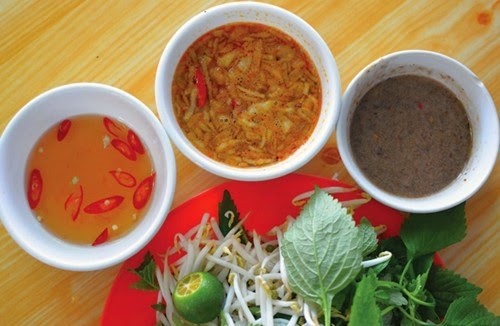 A bowl of dipping sauce is almost always besides a Vietnamese meal. This is so different from the dishes of other nations, said culinary expert Lê Kim Chi of Quán Ăn Ngon Restaurant chain. Chi said each kind of food had its own dipping sauce. 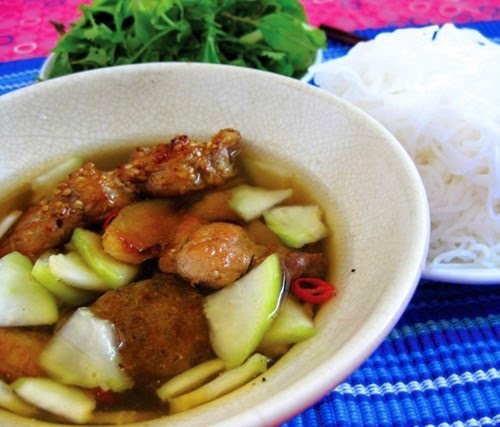 For example, bún chả (fresh rice vermicelli and grilled pork slices), has its own delicious dipping sauce that US President Barack Obama said he enjoyed so much while visiting Việt Nam in 2016. 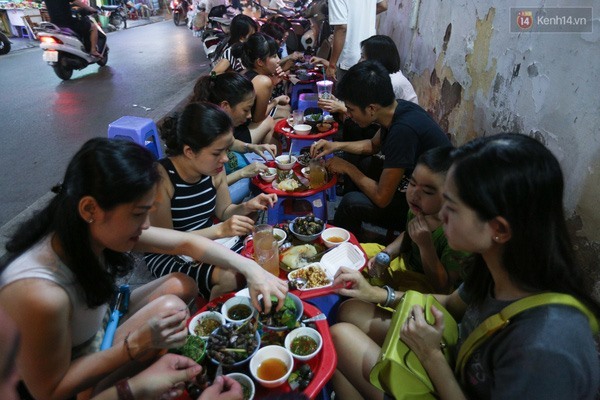 Packed: Crowds of eaters enjoy boiled snails in Hà Nội’s Old Quarter’s Đinh Liệt Street. 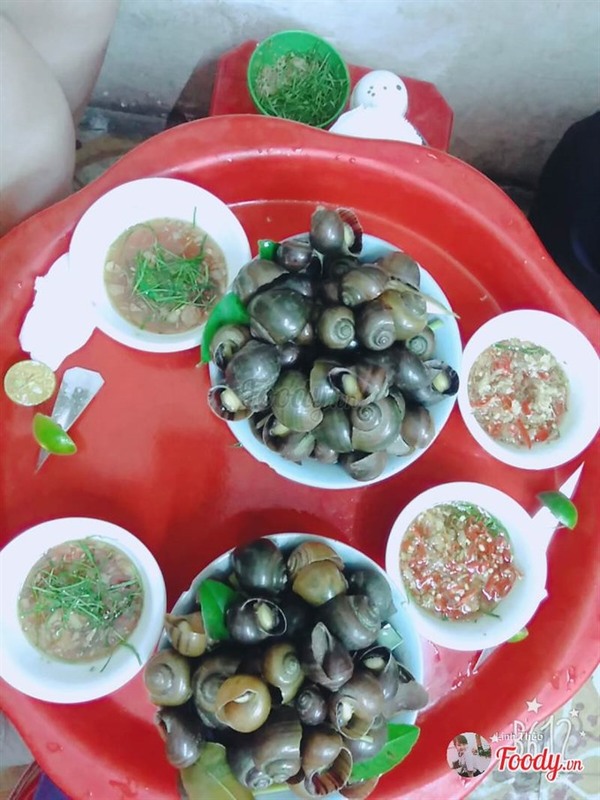 Đỗ Thu Hà, 62, who sells boiled snails in Hà Nội Old Quarter’s Đinh Liệt Street, said she could sell as much as 200kg of snails a day because her food had been praised as one of most tasty snacks in the capital. She said the appeal of the dish was largely due to the fresh sauce. Food for a president: A bowl of bún chả dipping sauce. 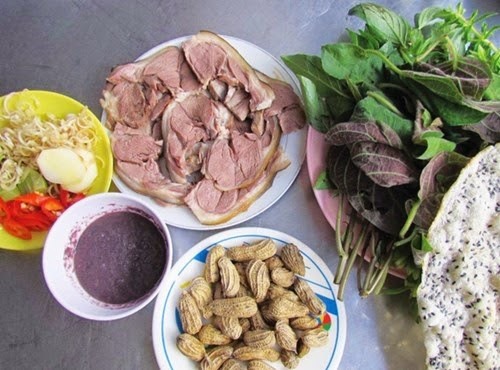 Hà’s daughter Phạm Thu Trang, 34, said her mother was the first in the Old Quarters to think of how to use kumquat and citronella to create aromatic flavours for her dipping sauce. Trang admitted that until now she could not learn how to make the sauce from her mother because she did all the processes, from cleaning the snails, boiling them - and cutting chili and lemon leaves. Herbalist Nguyễn Hữu Vinh, from the National Hospital of Traditional Medicine, said boiled snails may cause colds in the stomach, so ginger and garlic in the dipping sauce helped stop any pain or diarhoea. One of my overseas Vietnamese friends, Dương Quang Chăn from the US, who is in Việt Nam for business, said he was interested in my frugal meal of boiled rau muống (morning glory) with a dipping sauce of garlic and chili soaked in vinegar and cà pháo (salted baby eggplant). “The dipping sauce gives me a good appetite,” said Chăn, noting that he liked the sauces of traditional dishes, such as nem rán (fried spring roll -- minced pork and other ingredients wrapped up in thin rice paper), gỏi cuốn (boiled pork, shrimp and fresh herbs wrapped up in rice paper) because both had their own characteristics. The secret: The secret of making boiled snails tasty depends on the dipping sauce. “I sometimes sip the sauce because I like its saltiness, sourness and peppery sweet taste. The sauces not only make overseas Vietnamese remember our homeland but also makes a lot of foreigner’s keen for the novel tastes," said Chăn. Phew: Shrimp paste is one of the nation’s most famous dipping sauces. For example, embryo duck egg should be eaten with thread-cut ginger (yang) and fragrant knotweed (yin) to prevent heat and diarrhoea or fried tofu with vermicelli should be eaten with mắm tôm (shrimp paste) and marjoram to make it tastier and reduce bad smells.